Measure of the U.S. money stock that consists of: (1) currency held by the public (i.e. outside the U.S. Treasury, Federal Reserve Banks, and the vaults of depository institutions); (2) travelers checks (issued by nonbanks); (3) demand deposits at commercial banks (excluding those amounts held by depository institutions, the U.S. government, and foreign banks and official institutions) less cash items in the process of collection and Federal Reserve float; and (4) other checkable deposits (OCDs), consisting of negotiable order of withdrawal (NOW) and automatic transfer service (ATS ) accounts at depository institutions, credit union share draft accounts, and demand deposits at thrift institutions. The three-character ISO 3166 country code for MACAU. The three-character ISO 3166 country code for SAINT MARTIN. The three-character ISO 3166 country code for MOROCCO. The two-character ISO 3166 country code for MONACO. The three-character ISO 3166 country code for MONACO. The three-character ISO 3166 country code for MOLDOVA, REPUBLIC OF. The three-character ISO 3166 country code for MADAGASCAR. The ISO 4217 currency code for the Moldovan Leu. The three-character ISO 3166 country code for MALDIVES. The two-character ISO 3166 country code for MONTENEGRO. The three-character ISO 3166 country code for MEXICO. The two-character ISO 3166 country code for SAINT MARTIN. The two-character ISO 3166 country code for MARSHALL ISLANDS. The three-character ISO 3166 country code for MARSHALL ISLANDS. The two-character ISO 3166 country code for MACEDONIA, THE FORMER YUGOSLAV REPUBLIC OF. The three-character ISO 3166 country code for MACEDONIA, THE FORMER YUGOSLAV REPUBLIC OF. The ISO 4217 currency code for the Macedonian Denar. The two-character ISO 3166 country code for MALI. The three-character ISO 3166 country code for MALI. The three-character ISO 3166 country code for MALTA. See: Money Market Investor Funding Facility. The ISO 4217 currency code for the Myanmar (ex-Burma) Kyat. The three-character ISO 3166 country code for MYANMAR. The two-character ISO 3166 country code for MONGOLIA. The three-character ISO 3166 country code for MONTENEGRO. The three-character ISO 3166 country code for MONGOLIA. The three-character ISO 3166 country code for NORTHERN MARIANA ISLANDS. The ISO 4217 currency code for the Mongolian Tugrik. The three-character ISO 3166 country code for MOZAMBIQUE. The three-character ISO 3166 country code for MAURITANIA. The three-character ISO 3166 country code for MONTSERRAT. The three-character ISO 3166 country code for MARTINIQUE. The three-character ISO 3166 country code for MAURITIUS. The ISO 4217 currency code for the Maldive Islands Rufiyaa. The two-character ISO 3166 country code for MALAWI. The three-character ISO 3166 country code for MALAWI. The ISO 4217 currency code for the Malaysian Ringgit. The three-character ISO 3166 country code for MALAYSIA. The three-character ISO 3166 country code for MAYOTTE. The two-character ISO 3166 country code for MEXICO. The ISO 4217 currency code for the Mexican Peso. The two-character ISO 3166 country code for MOZAMBIQUE. A call for additional money or securities when a margin account falls below its exchange-mandated required level. For derivative contracts, when the margin drops below the maintenance margin, the investor gets a margin call. The investor must post margin to the initial margin (which is higher than the maintence) or the contract will be liquididated. A shareholder who is part of a group that controls more than half the outstanding shares of a corporation. Voting system under which corporate shareholders vote for each director separately. Related: Cumulative voting. The amount of deficiency when a cash flow or capital item is deficient. For example, an interest make-up relates to the interest amount above a ceiling percentage. Related to the lump-sum payments made when a loan or bond is called, equal to the NPV of future loan or coupon payments not paid because of the call. The payment can be significant and negate the attractiveness of a call. A subsidiary of the KLSE that trades interest rate futures on the three-month Kuala Lumpur Interbank offered rate. An investment portfolio one or more clients entrusted to a manager who decides how to invest it. A form of leveraged buyout in which the outside mnanagement team (often backed by a third party private equity investor) acquires a company and replaces the incumbent management team. The acquisition of a controlling interest in a promising business by an outside investment group that retains existing management and places representatives on the board of directors. Percentage of shares held by persons closely related to a company, as defined by the Securities and Exchange Commission. Part of these percentages often are included in "institutional holdings"--making the combined total of these percentages over 100. There is overlap as institutions sometimes acquire enough stock to be considered by the SEC to be closely allied to the company. An investment advisory fee charged by the financial adviser to a fund typically on the basis of the fund's average assets, but sometimes determined on a sliding scale that declines as the dollar amount of the fund increases. A situation where senior management is replaced or reassigned to different roles. A medium-level participant established according to final take. Decisions concerning the operation of the firm, such as the choice of firm size, firm growth rates, and employee compensation. Flexibility in the timing and scale of investment provided by a real investment option. Allocation of funds to an investment manager to be managed for a specific purpose or style. Also refers to the formal appointment to advise on or arrange a project financing. A debt instrument that is exchangeable at some point for equity in the form of common stock or a new issue. Loans on manufactured homes-that is, factory-built or prefabricated housing, including mobile homes. A monthly report released by the Institute for Supply Management measuring growth in the manufacturing sector. A gold, silver, or platinum coin minted in Canada that usually trades at slightly more than its current bullion value. The agreement governing customers' margin accounts. The percentage yield earned on an additional unit of capital. Gross profit divided by net sales. Used to measure a firm's operating efficiency and pricing policies in order to determine how competitive the firm is within the industry. A tax deduction that allow spouses to transfer unlimited amounts of property to one another. (1) The point in time at which a security's price begins to trend upwards after trending downwards. (2) The price level at which a security's price begins to trend upwards after trending downwards. The period between the two latest highs or lows of the S&P 500, showing net performance of a fund through both an up and a down market. A market cycle is complete when the S&P is 15% below the highest point or 15% above the lowest point (ending a down market). A financial information service based in the U.K. sponsored by the ISE (International Stock Exchange of the UK and the Republic of Ireland) that provides current market and statistical information. The inability of arm's length markets to deliverer goods or services. A multinational corporation's market internalization advantages may take advantage of market failure. The result of a bid/ask spread and a dealer's price concession. Also called price impact costs. Conditions that allow a corporation to exploit the failure of an arm's length market to deliver goods or services efficiently. In the context of hedge funds, a style of management that has long and short equity exposure with nearly exposure on average to fluctuations in the market. However, the on average qualification is important. The risk of the longs and the shorts could fluctuate through time leading to negative returns when the market falls sharply. An order to trade stocks, options, or futures as close as possible to the market close. See also MOC. The start of formal trading on an exchange. Used in the context of general equities. Order to buy or sell a stated amount of a security at the most advantageous price obtainable after the order is represented in the trading crowd. You cannot specify special restrictions such as all or none (AON) or good 'til canceled order (GTC) on market orders. See: Limit order. Used for listed equity securities. See: Percentage order. A clause that may appear in an underwriting firm commitment that releases it from its purchase requirement if there are negative securities market developments. A group of NYSE market oversight specialists who monitor specialists' efficiency in maintaining fair prices and orderly markets. A technical analysis of factors such as volume, price trends, and market breadth that are used to predict price movement. The degree to which the prices of assets reflect the available marketplace information. Marketplace price efficiency is sometimes estimated as the difficulty faced by management of earning a greater return than passive management would, after adjusting for the risk associated with a strategy and the transactions costs associated with implementing a strategy. A portfolio consisting of all assets available to investors, with each asset held in proportion to its market value relative to the total market value of all assets. A measure of the extra return, or risk premium, that investors demand to bear risk. The reward-to-risk ratio of the market portfolio. A line that indicates the minimum return required by investors at each level of investment risk. The schedule begins at the risk-free interest rate and rises as risk increases. A biased expectations theory that asserts that the shape of the yield curve is determined by the supply of and demand for securities within each maturity sector. A second offering following a tender offer, allowing institutional investors to obtain a controlling interest at a price higher than the original offer. Used in the practice of Asset allocation. Based on public information, managers actively decide which stocks, sectors, countries, or asset classes to over or underweight. Market timing takes advantage of a small but important amount of predictability in asset returns. The strategy contrasts with the buy-and-hold strategy in which a portfolio is decided on and held for long periods of time. Market timing is an active rather than passive strategy. 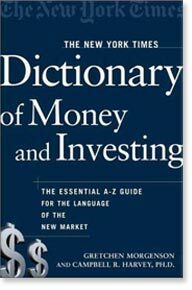 A misnomer synonym used in reference to 2003 mutual fund scandal. 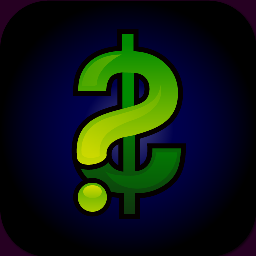 The misnomer synonym refers to Stale Price Arbitrage. The general state of well-being of a securities market, based mostly on trading activity. (1) The point in time at which a security's price begins to trend downwards after trending upwards. (2) The price level at which a security's price begins to trend downwards after trending upwards. Ratios that relate the market price of the firm's common stock to selected financial statement items. A clear, reasonably incontestable title to a piece of real estate that is good for transaction purposes. Settling or reconciling changes in the value of futures contracts on a daily basis. Also refers to the practice of reporting the value of assets on a market rather than book value basis. Nobel laureate in economics. Father of portfolio theory. A strategy that seeks to combine in a portfolio assets with returns that are less than perfectly positively correlated, in an effort to lower portfolio risk (variance) without sacrificing return. Related: Naive diversification. Identifying symbols and numbers placed by the shipper on each piece of cargo in a shipment. Adjustment of the book value or collateral value of a security to reflect current market value. A tax that has the effect of penalizing a married couple because they pay more tax on a joint tax return than they would if they file tax returns individually. A put and stock are considered to be married if they are bought on the same day, and the position is designated at that time as a hedge. A publicly traded limited partnership. The foreign market in Spain. A bank is said to match-fund a loan or other asset when it does so by buying (taking) a deposit of the same maturity. The term is commonly used in the Euromarket. A bank runs a matched book when the of maturities of its assets and liabilities is distribution equal. The coordination by a financial_institution of the maturities of its assets (loans) and liabilities (deposits) in order to enable it to meet itsobligations at the required times. Transcations in which the Federal Reserve sells a government security to a dealer or a foregin central bank and agrees to buy back the security to a dealer or a foreign central bank and agrees to buy back the security on a specified date (usually within seven days) at eh same price (the reverse of a repurchase agreement). Such transaction allow the Federal Reserve to temporarily absorb excess reserves from the banking system, limiting the ability of banks to make new loans and investments. Applies mainly to convertible securities. Procedure whereby the Federal Reserve Bank of New York sells government securities to a nonbank dealer against payment in federal funds. The agreement requires the dealer to sell the securities back by a specified date, which ranges from 1 to 15 days. The Fed pays the dealer a rate of interest equal to the discount rate. These transactions, also called reverse repurchase agreements, decrease the money supply for temporary periods by reducing dealers' bank balances and thus excess reserves. The accounting principle that requires the recognition of all costs that are associated with the generation of the revenue reported in the income statement. A mathematical representation of concepts that describes a system through a series of equations relating variables of the system. Many disciplines use mathematical models, including, but not limited to, physics, biology, psychology, and finance. An operations research technique that solves problems in which an optimal value is sought subject to specified constraints. Mathematical programming models include linear programming, quadratic programming, and dynamic programming. The futures exchange of France. The economy of a nation with a stable population and slowing economic growth. In the context of hedging, maturity mismatch arises when a hedging instrument does not match the maturity of the underlying assets thus creating an imperfect hedge. In the context of balance sheets, maturity mismatch arises when there are more short-term liabilities than short-term assets to cover the liabilities with. A stage of company development in which earnings to grow at the rate of the general economy. Related: Three-phase DDM. The difference in returns between bonds of different time lengths. A mutual fund whose objective is to produce capital gains by investing in small or risky rapid-growth companies. Standard that one choose the asset with the highest return. A book-entry depository for GNMA securities. The depository was initially operated by MBSCC and is now a separately incorporated, participant-owned, limited-purpose trust company organized under the State of New York Banking Law. The requirement that the mortgage servicer maintain payment of the full amount of contractually due principal and interest payments whether or not actually collected. The arithmetic average; that is, the sum of the observations divided by the number of observations. The idea that stock prices revert to a long term level. Hence, if there is a shock in prices (unexpected jump, either up or down), prices will return or revert eventually to the level before the shock. The time it takes to revert is often referred to as the time to reversion. If the process is very persistent, it might take a long time to revert to the mean. The key difference between a mean-reverting process and a random_walk is that after the shock, the random_walk price process does not return to the old level. Errors in measuring an explanatory variable in a regression, which leads to biases in estimated parameters. A program approved by the Securities Transfer Association that enables participating financial_institutions to guarantee signatures. The Medallion programs ensure that the individual signing the certificate or stock, power is in fact the registered owner as it appears on the stock certificate or stock power. Any U.S. financial institution that belongs to a Medallion Stamp Program can provide Medallion guarantees. Such institutions include banks, savings and loans, credit unions and U.S. brokerages. The midpoint of market capitalization (market price multiplied by the number of shares outstanding) of the stocks in a portfolio. Half the stocks in the portfolio will have higher market capitalizations; half will have lower. A bond maturing in two to ten years. Medium-term note designated for retail investors. For example, at Fannie Mae, it means that the bond is designated for individual investors that is underwritten through a dealer versus issuing through a program, like Investment Notes or Benchmark Notes. A limited number of exchange positions that enable the holder to trade for the holder's own accounts and charge clients for the execution of trades for their accounts. Related: member firm. The Italian futures market trading Italian Treasury bond (BTB) futures. A British term for a bank that specializes not in lending out its own funds, but in providing various financial services such as accepting bills arising out of trade, underwriting new issues, and providing advice on acquisitions, mergers, foreign exchange, portfolio management, etc. The members of an underwriting group with involvement large enough to be in the second participation tier from the top. In a company's capital structure, mezzanine capital is senior to common shares but junior to secured debt or senior debt. Mezzanine capital refers to subordinated debt or preferred equity and is usually more expensive for the issuer than issuing senior debt. The risk assessment of a country as related to an MNC's type of business. A method of money laundering in which larger transactions are broken down into multiple smaller transactions to evade detection by authorities. For example, making multiple (under US$10,000) deposits in banks and withdrawing it in overseas countries. A stock with a capitalization usually between $1 billion and $5 billion. This is the same as a SPDR except the indexit tracks is Standard&Poor's Mid-cap 400. This SPDR also trades on the AMEX, under the symbol MDY. An exporter with the following traits: 1) Manufacturer with less than 500 employees 2) Ships less than $1 Million per year (on average) overseas. In context of private equity, the state of a company when it has received one or more rounds of financing and is generating revenue from its product or service. Also known as growth stage. Nobel Laureate and coauthor of the famous Miller-Modigliani theorems. Finance professor at the University of Chicago. The lowest required equity level that must be held with a broker in a margin account. See: margin call. Smallest increment of price movement possible in trading a given contract. Also called point or tick. An outside ownership interest in a subsidiary that is consolidated with the parent for financial reporting purposes. An index that sums the unemployment and inflation rates, used as a political rating or measure of consumer confidence. Floating rate note whose interest rate is reset at more frequent intervals than the rollover period (e.g. a note whose payments are set quarterly on the basis of the one-year interest rate). Used for listed equity securities. 1) Have an order in hand but fail to execute a transaction on terms favorable to a customer and, thus, be negligent as a broker; 2) receive an order just after a print has transpired. A brokerage account holding both long and short positioned securities. The simulated trading of securities used as a learning device in training investors and broker. The process of creating a depiction of reality, such as a graph, picture, or mathematical representation. Risk of loss arising from valuing financial instruments with a model that is inaccurate (e.g. makes incorrect underlying assumptions, does not capture all scenarios that could occur in reality, or fails under extreme market conditions). Also known as model uncertainty. A business day convention whereby payment days that fall on a holiday or a Saturday or a Sunday roll forward to the next target business day. If that day falls in the next calendar month, the payment day rolls backward to the immediately preceding target business day. A proposition by Modigliani and Miller which states that a firm cannot change the total value of its outstanding securities by changing its capital structure proportions. Also called the irrelevance proposition. A proposition by Modigliani and Miller which states that the cost of equity is a linear function of the firm's debt/equity-ratio. Sum of the currency held by the public and reserves held by financial institutions with the Federal Reserve Banks. This is the monetary aggregate that the Federal Reserve has control over through its monetary policy. Also called High Powered Money because the effect of changes in monetary base on money supply is magnified by the money multiplier. The use of borrowing and lending transactions in foreign currencies to lock in the home currency value of a foreign currency transaction. The Federal Reserve launched MMIFF on Nov. 24, 2008 to restore liquidity to the money markets during the financial crisis. The MMIFF set up five special purpose vehicles to buy as much as $600 billion in short-term debt like U.S.-dollar-denominated commercial paper, bank notes and certificates of deposit from money funds from 50 designated financial institutions. The designated institutions were among the largest issuers of highly rated short-term liabilities held by money market mutual funds including Bank of America Corp., General Electric Co., BNP Paribas SA and Société Générale SA. The MMIFF ended on Oct. 30, 2009. Publicly traded issues that may be collateralized by mortgages and Mortgage Backed Securities (MBSs). Short-term investment usually of less than one year. Type of insurance used by capital market participants. Insurance is purchased assuring bond principal and interest payments if an issuer defaults. The existence of only one buyer in a market, forcing sellers to accept a lower price than the socially optimal price. An analytical technique for solving a problem by performing a large number of trail runs, called simulations, and inferring a solution from the collective results of the trial runs. Method for calculating the probability distribution of possible outcomes. Preferred stock issued by a subsidiary located in a tax haven. The subsidiary relends the money to the parent. A rating of one through four assigned by Moody's Investors Service to bonds. Moody's Long-term Corporate Obligation Ratings are opinions of the relative credit risk of fixed-income obligations with an original maturity of 1 year or more. The ratings reflect both the likelihood of default and any financial loss suffered in the event of default. Moody's rating is widely used in the financial world along with S&P Ratings. The risk that the existence of a contract will change the behavior of one or both parties to the contract, e.g. an insured firm will take fewer fire precautions. A market capitalization-weighted benchmark index made up of equities from Pacific Basin countries. Japan represents about three-fourths of the index. A modification of standard duration to account for the impact on duration of MBSs of changes in prepayment speed resulting from changes in interest rates. Two factors are employed: one that reflects the impact of changes in prepayment speed or price. The period from the taking of applications from prospective mortgage borrowers to the marketing of the loans. The stocks with the highest volume of trading on a certain day. Gives the borrower the possibility of drawing a loan in different currencies. Elimination of offsetting cash flows within a multinational corporation's books. A portfolio strategy in which a portfolio is created that will be capable of satisfying more than one predetermined future liability regardless of interest rate changes. In the context of hedge funds, a style of management where by the fund employs more than one arbitrage strategy. Portfolio manager opportunistically allocates capital among the various strategies in order to create the best risk/reward profile for the overall fund. Common strategies include merger arbitrage, convertible arbitrage, fixed income arbitrage, long/short equities pairs trading, and volatility arbitrage. In the context of equity and private equity investment, this refers to an investment in a firm where by standard multiples (earnings/price, book/price) indicate the price is far cheaper than industry averages. Under the GNMA-II program, pools formed through the aggregation of individual issuers' loan packages. An agreement used by a broker who is a member of a multiple-listing organization, providing the exclusive right to sell with an additional authority and obligation on the part of the listing broker to distribute the listing to the other brokers. Insurance policy which covers a wide variety of property damage. More than one rate of return from the same project that make the net present value of the project equal to zero. This situation arises when the IRR method is used for a project in which negative cash flows follow positive cash flows. For each sign change in the cash flows, there is a different rate of return. Another name for price/earnings ratios. A mutual fund that invests in bonds issued by state, city, and/or local governments. The interest obtained from these bonds is passed through to shareholders and is generally free of federal (and sometimes state and local) income taxes. A certificate used to finance local government projects and services which is financed by a special tax assessment and provides tax-free interest . A bond issued to finance a public project that is funded by the revenues of the project. A savings and loan association organized as a cooperative, with members purchasing shares, voting on association affairs, and receiving income in the form of dividends. Investment decisions in which the acceptance of a project precludes the acceptance of one or more alternative projects.